I was wondering about the issue of finding the right therapist. I was perplexed. I wondered if there is a myth there somewhere. It sounded for a moment like there is one person out there that is the right one for us. But is this how therapy works? Well, how was your experience in relation to finding a therapist? 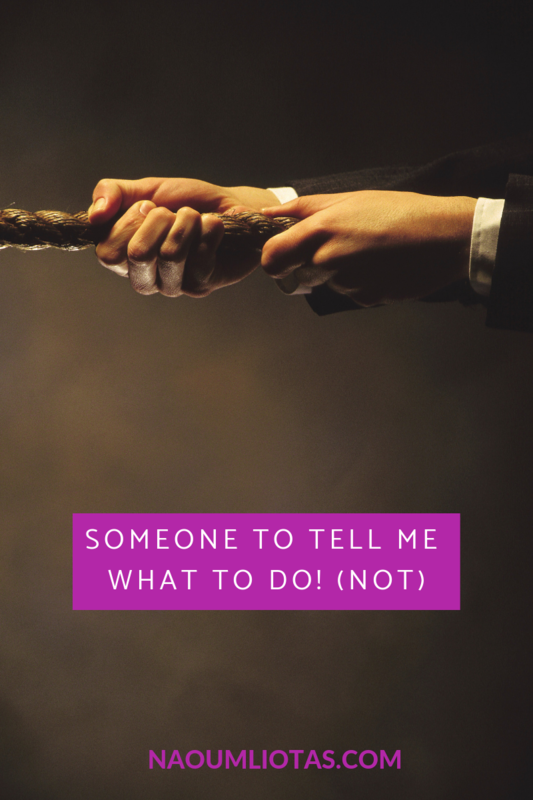 Contemplating my own therapeutic journey, I had three different therapists and have seen many more in action during my training to become a psychotherapist. I can now say with conviction that I consider two out of the three psychotherapists (those that I stayed longer with) as benefactors. They were able to stay there, with presence and patience and show me things I was not able or I didn’t want to see (at first). Strangely enough, I don’t consider any one of them as the right therapist. They were both “right” at the time I chose them. And they were definitely “good enough” (and actually a lot more than that). Not perfect though because they were human just like me. They have their biases (and they are meant to – they just need to be able to understand what is their stuff and what was mine). And others might have been right for me, but I will never know. These were somehow meant for me and I am forever grateful for them. These therapists were able to be catalysts for me and for helping me become more of who I really am. They also helped me to be able to perceive some things more clearly. 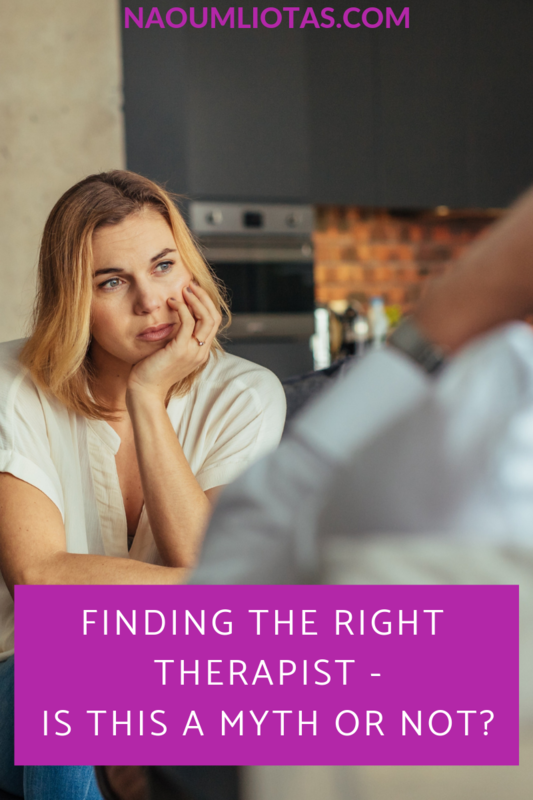 A therapist even told me that the therapists’ role is to be able to connect the client with his inner therapist – and I think he was right. So, is what I am describing a small thing? By no means. After a long process, I have realised the benefit of small steps and small shifts. Change can sometimes happen through ‘aha moments’ and at other moments nothing much seems to be happening. And yet it does. I have been constantly and consistently moving forward at my own pace to reach the place I am now – and I am grateful. 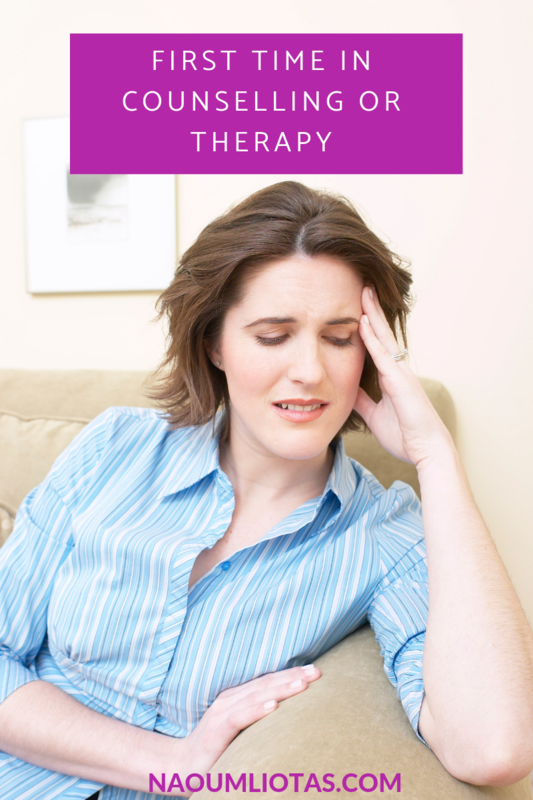 So do you think there is the right therapist for you out there? Is there only one? How will you know? How will you choose? For me, finding a therapist which was right for me at the time was a combination of luck, synchronicity, intuition and trust. And then commitment. And when it was time to move on, I had to trust myself as well. If the shoe doesn’t fit, I need to move on. Sometimes it is difficult, but staying somewhere I am not “fed” properly might cost dearly and might not be beneficial for where I want to go.